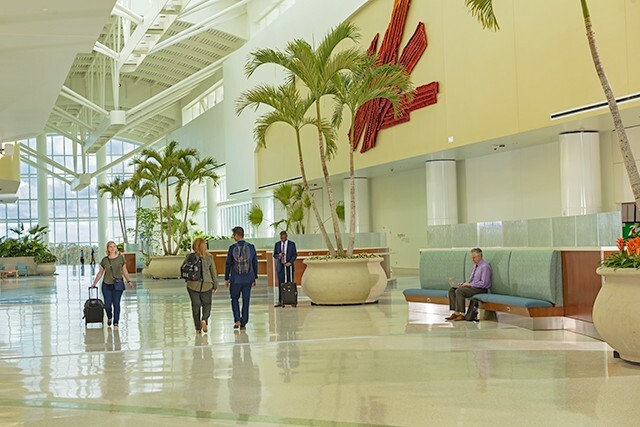 As part of Orlando International Airport’s $3.5 billion Capital Improvement Program, the Intermodal Terminal Facility and South Airport APM Complex are currently under construction. 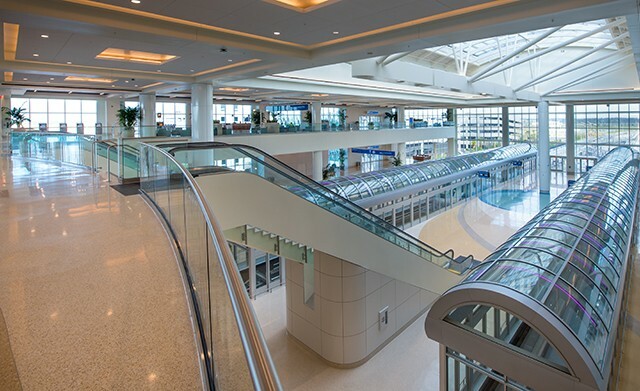 The South Airport Automated People Mover (APM) complex, a 200,000 square feet facility, includes the station for the APM system which connects passengers to the Main Terminal, similar to those that connect the existing gates areas to the Main Terminal, and takes less than 4 minutes to reach the terminal. Parking Garage “C” is located on the South Entrance Road adjacent to the South APM Station and features 1,690 parking spaces and remote check-in facilities for Alaska, American, Delta, JetBlue, Southwest and United (Domestic flights only, minimum of 90 minutes before departure). The Intermodal Terminal Facility (ITF) consists of approximately 1.3 million square feet of terminal space accommodating the South APM and up to three regional rail systems (SunRail, Virgin Trains USA, and possibly a third system serving the International Drive/Convention Center area). It will also support ground transportation activity including taxis, shuttle buses and public bus operations. Take a ride on our newest APM which connects the South APM Station and Garage “C” to the Main Terminal. The ride provides scenic views of the Air Traffic Control Tower, Airside 4 (Gates 70-99) and the airfield on its under 4-minute journey. The station in the Main Terminal is on Level 3, between the East security checkpoint (Gates 70-129) and the B-Side airline check-in desks.